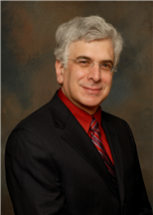 In Dedham, Massachusetts, lawyer Alan J. Pransky has over 30 years of general practice experience. In the areas of family law, real estate law, civil law and criminal defense, Mr. Pransky has the legal knowledge to resolve your issues in a timely fashion. Our firm provides common sense problem solving and dedicated personal attention to every client. This is a general practice law office located in the Norfolk County seat of Dedham. Cases are accepted in family law (divorce, paternity, contempt, prenuptial agreements, abuse, grandparent visitation and adoption), real estate law (buyers, sellers, landlords, tenants), and civil and criminal trials (personal injury, negligence, motor vehicle offenses, OUI, assault, etc.). Other legal matters are accepted and referrals to other attorneys will be made when appropriate. No fee is charged for the first appointment.